Alex Rider 9. Alex Rider 9…There are times I understand why Conan Doyle decided to throw Sherlock Holmes off the Reichenbach Falls. Why Ian Fleming considered killing off James Bond at the end of The Spy Who Loved Me and actually did so in You Only Live Twice. And why even Hergé admitted that he was “fed up” with Tintin and died of exhaustion just as his hero was being led off at gunpoint in the unfinished Alph-Art. Let me say at once that I still love writing about Alex Rider – the teenage spy, reluctantly recruited by MI6 – as much as I did when I created him 10 years ago. And I find it fascinating how he seems to change, to grow older and more sombre every time I return to him, almost as if he’s no longer in my control. It’s also very gratifying that although his original readership must be in their twenties (I sometimes even find myself signing books for young couples holding babies), Alex continues to find new readers. But the plots don’t get any easier. How many bad guys are there? How many different reasons to destroy the world? 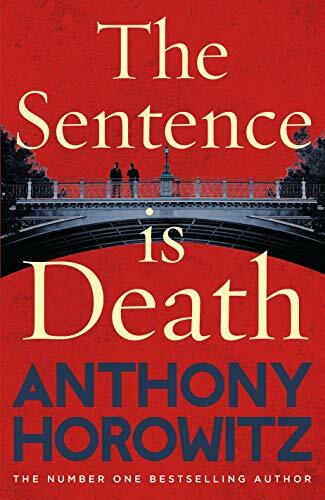 Alex has been shot at, strangled, seduced, drowned, chased, knocked out, threatened with snakes, tigers, spiders and crocodiles, sent into outer space, chained to a bomb, forced into a bullfight and tied to a conveyor belt between two turning grindstones. What else can happen to him? For better or for worse I am contracted to two more books. The last one is easy. Alex doesn’t really appear in it… I’m planning to write about Yassen Gregorovich, the Russian assassin who pursued him in two books and who was once 14 and an orphan himself. What was it that made Alex good and Yassen evil? It seems an interesting area to explore. But Alex 9! I have a few thoughts. Last year, I was on a British Council tour to Cairo and it struck me that Alex has never been to the Middle East. Unlike Tintin, he has never been lost in the desert. There is a rather good camel market at Birqash and I quite like the idea of a gunfight among the flies, the heat, the sun, the sand, the stink. Who is shooting at him? It doesn’t matter. We’ll get to that later. And Cairo itself is a great location. Not the pyramids, of course (shades of Roger Moore), but maybe a chase through the souk at Khan al-Khalili (I love the way the names immediately evoke the sort of atmosphere I want to describe) or dodging in and out of the traffic in permanent gridlock on the Shaira Romses. An event. Some sort of event is taking place in Cairo. I went to just such a conference, attended by Mrs Mubarak who has worked tirelessly to promote literacy among Egyptian children and who asked me to sign a copy for her grandson. Could she be the target of an assassination? No. That’s probably a bad idea. But an assassination in Egypt… Shades of The Parallax View (one of my favourite films). But what is Alex doing in Egypt? An international school. I visited one outside Cairo and I’ve been to international schools in Shanghai and Singapore. They’re interesting, weird places. There’s even a Harrow School in Bangkok with little Thai boys wearing straw boaters. I quite like the idea of a little bit of England in the desert, with Alex infiltrating it, maybe because… I don’t know. And he ought to go to Ireland, too. Alex has always had a huge following in Ireland and every time I’ve been there, particularly to Dublin, I’ve received the warmest of welcomes. I met a brilliant teacher at Wesley College near Ballinteer, a man who has done more for children’s literature than almost anyone in the country. Niall MacMonagle. Great name too. Maybe he can be the villain. None of this may happen. None of this may work. But this is what is buzzing around in my head at the moment. Meanwhile, my publishers – Walker Books – are waiting for… something. A synopsis. A phone call. But I’m hiding from them because I’m almost afraid of the machine starting up again, the cogs grinding. Alex 9. Alex 9. The weight of expectation is on me. Alex 1 was a whole lot easier.